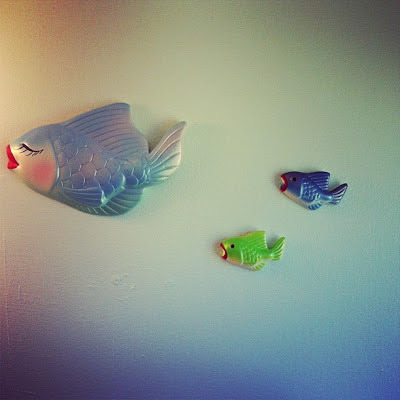 I was vintage shopping with my mom in San Jose and we came across those three little fish. 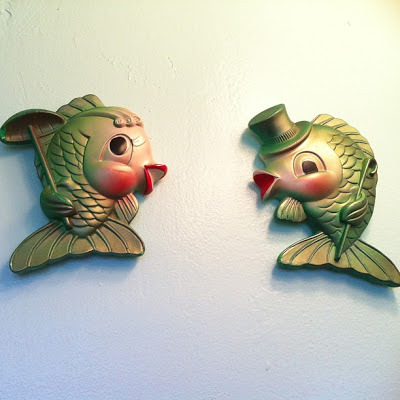 They are from the 1960s and are vintage chalk ware. I had seem similar ones when I was shopping in Memphis, Tennessee but didn't buy them (boy am I kicking myself now). These were so cute and the price was just right. I couldn't pass them up. I took some of my birthday money and bought them. I had been wanting to paint my master bathroom (tiniest master bathroom ever btw) and I had been debating on the color. 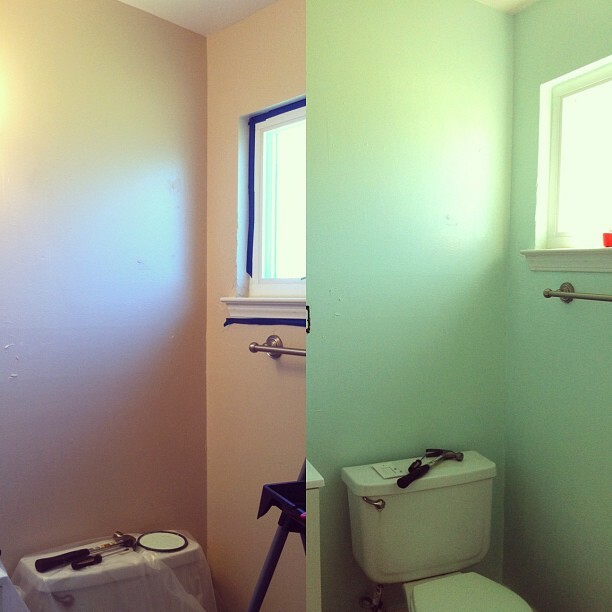 I wanted a color that was going to be light and something that I knew if I got sick wouldn't make me feel sicker. Know what I mean? So after much debate I ended up going with Olympic in Oasis. It's a very, very light blue. In the light it can almost pass for a light blue/green. I've got three walls bearing vintage chalk ware now I just need to find some more for one more wall and the bathroom will be complete. I of course have one of the super, colorful tropical fish shower curtains as well. I also keep my Baker Beach rock collection in there. Every time I've been there, I've picked up a rock or two. Love the color!! So fun! LOVE the idea of the fish room. Very cute! These fishes are so cute!!! 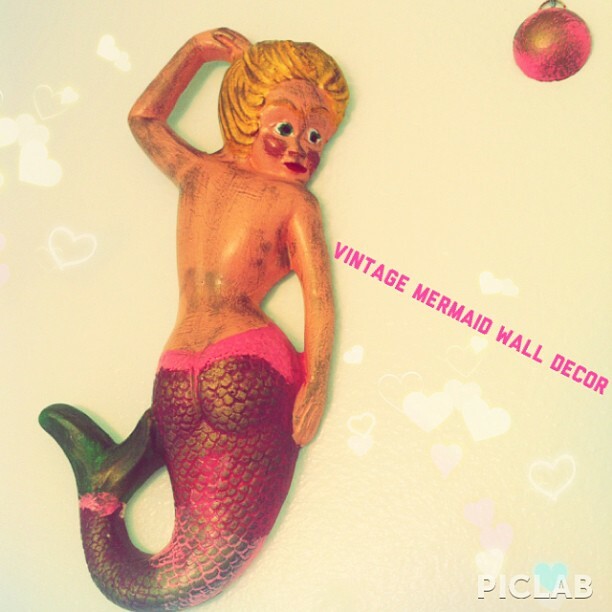 Good thing your paint had Oasis in the name because you got yourself a beachy themed bathroom! Those fishies are so cute.